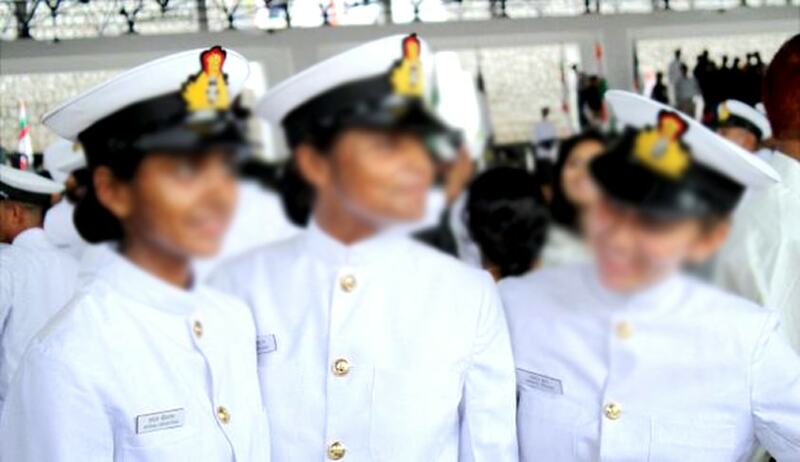 The Supreme Court has slammed the Indian Navy for gender discrimination, unreasonable classification and strongly favoured permanent commission for women officers in all wings after they complete their short service commission. Navy’s September 26, 2008 rule offered permanent commission to women officers who joined after the date but only in education, law and naval architecture branches. Justice T S Thakur made the observations while hearing an appeal filed by the Navy and Ministry of Defence against the Delhi High Court order asking it to grant permanent commission to 19 women officers in the education, logistics and ATC branches. They had completed 14 years of their Short Service Commission. As he replied that permanent commission for women SSC officers is something that the law itself bars and such an order would annihilate the functional autonomy of the armed forces, the judge, referring to the 2008 rule told the AG “the government itself created the problem now you face it”. The MoD had urged the SC to stay the HC order, saying it “severely affects the operational structure and administrative exigencies in the Indian Navy” and also “result in disturbing the seniority of existing personnel and their promotional avenues”. “It would further cause financial and other constraints on the government and has resulted in the respondents (women officers) being provided with something that the law itself bars… the division bench (of HC) has effectively overridden the statutory provision and dictated the policy of the Indian Navy for recruiting women officers,” it adds. The Navy has maintained that it has not discriminated against women, and that no male officer in the same cadres, who were recruited under the SSC, was offered permanent commission. It has opposed the HC’s observation that since all the three services — Army, Navy and Air Force — are under the same ministry, they should not have different policies. “There are wide variations between the functions of all three services and each service is given the liberty to choose the policies conducive to meet service-specific standards,” says the appeal petition.